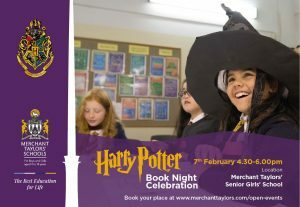 Children from Years 3 & 4 from Crosby and the surrounding areas are warmly invited to our Harry Potter themed evening. After travelling to platform 9 3/4, the pupils will be sorted into Houses by Professor McGonagall’s Sorting Hat. After this, there are lots of exciting sessions to look forward to including mastering French Magic and Latin spells at the Bauxbatons Academy or playing an exciting game of Quidditch in our Sports Hall. Be sure to book soon, places are limited!